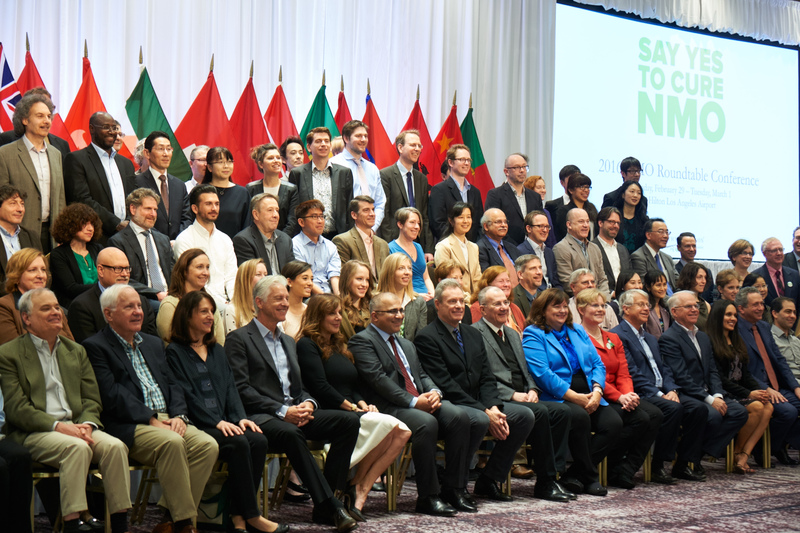 The Guthy – Jackson Charitable Foundation’s 2016 International NMO Roundtable Conference welcomed attendees from over 22 countries to address the current and future status of NMO/SD research discovery and best clinical practices. Leading NMO researchers and clinicians, along with industry partners, nurses, and key stakeholders attended the two-day meeting, participating in presentations and discussions. In all, over 55 presentations were given to over 185 attendees, making the 2016 roundtable the foundation’s most-attended conference to date. The conference also welcomed Chief Scientific Officer of Verily, Google Inc., Vik Bajaj as guest speaker. Mr. Bajaj addressed the potential and realized impacts of innovative technology as a means to help shape the future of medical discovery. 1. Learn about recent scientific and/or clinical advances in NMO research. 2. Reconvene the “best of the best” in neurodegenerative disease research for the purpose of continued information sharing and facilitating further strategic partnering for NMO research. 3. Align pharmaceutical, clinical and scientific strategies toward potential NMO drug discovery, and/or drug repurposing and/or clinical trials. GJCF-funded Principal Investigators, as well as other international scientists and clinicians, presented scientific findings, clinical progress, and hypotheses with the intent of addressing the current and future status of scientific research, best clinical practices, and pharmaceutical pathways. Presentations and panel discussions enhanced international collaboration to help advance the scientific and clinical knowledge of and work toward treatment and a potential cure for NMO. The NMO Roundtable Conference also featured meetings for the Biorepository Oversight Committee, CIRCLES, International Clinical Consortium, Industry Council, and a poster session featuring 25 submissions.